By Firestone Days of Wonder released Memoir '44 nearly 10 years ago--on the 60th anniversary of the D-Day invasion of WWII. On their 10th anniversary, and the 70th anniversary of D-Day, they're releasing a new expansion for their hit game. By Firestone It's the perfect gateway game. It's the game my Mom wants me to bring to every holiday get-together. It's often mistakenly called "The train game"--also by my Mom. And it's turning 10 years old...with a shiny new edition. Days Of Wonder has announced the 10th Anniversary Edition of their blockbuster bestseller. The game will come with in an oversized box, with new cover design and graphics. And the new and redesigned board will be 50% larger than the original. Here at Theology Of Games, we're big fans of the game Small World. And you can now get the iOS version of Small World 2 for a small-er price! It's only $4.99, down from $9.99.We have no idea how long this will last, so go, go, go! Just think: For the holidays maybe you travel west, to stay with your in-laws on their uncomfortable "antique"bed (which is code for uncomfortable), and you wake up ridiculously early because of the time change and the uncomfortable bed and because you drank three glasses of egg nog and you REALLY have to pee. Now you'll have something to do while you wait for other people to wake up! You're welcome. There has been such an increasing amount of activity on Kickstarter over the past few weeks, that we've decided to put a newer spin on our Kickstarter Weekly features. You'll still get them on Thursdays, but instead of piecing them out we're going to feature several projects, and give some news about them as we go. So welcome to the new Kickstarter Weekly here at TOG! Our first project this week is from Eagle Games: Francis Drake, a game designed by Peter Hawes, puts players in the heart of Spain's new world as they sail the Caribbean, buying, selling, trading, and raiding ports for goods to return home with and sell for profits! The gameplay looks well-thought-out, and there are some customized aspects, giving it a higher replayability factor. The board and components look gorgeous as well! The campaign has 32 days left and they've already blown past the funding goal, so it shouldn't be long before the stretch goals start getting knocked off. The only downside is the game is a little pricey, but if you've got your eye on a few other titles from the Eagle/Gryphon catalog, they've thrown together some really nice bundle packages. 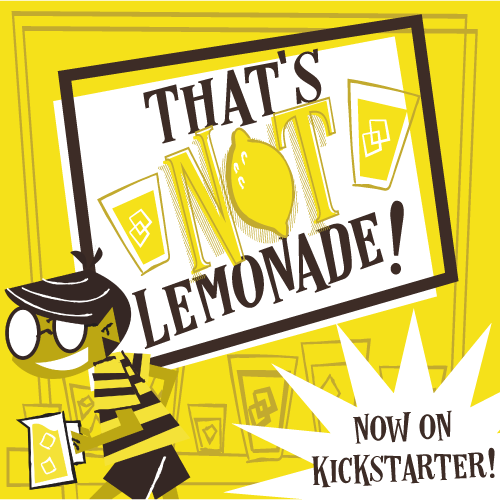 Check out the campaign here, and consider getting in and helping them reach the stretch goals! Our next campaign is Paradise Fallen from Crash Games, a card-management game game set in a modern post-apocalyptic island setting. Crash Games plans on setting up an entire series of games, using this title as a launching point, to create a deeper universe for games and expansions to live in. Players control tribes trying to survive while placing obstacles in the paths of the other tribes. You'll strive to survive, find food, and and explore the fallen paradise. You can grab a copy of the game for a $25 pledge, and there are again some nice bundles available for higher price points. The campaign has 27 days left and is still $10,000 short of their funding goal, so they've got a ways to go before it funds—let alone hitting stretch goals. I'm loving the artwork so far, and they've come up with some great outrigger canoe meeples as well! (What meeples will they come up with next!?) If card management, and post-apocalyptic island survival are your thing(s) then head on over and check out the campaign here. Up next is Teramyyd: Earthsphere a steam-punky, monster-fighting sky pirate, questing game. I (Jeremiah) am very intrigued by this game. The game appears to have multiple scenarios for players to embark on, and within those scenarios lie different quests to complete on their way to victory. Let's not forget the cool sky pirates flying machines that you can upgrade and add to while trying to defeat sky monsters! IO Worlds has blown past their funding goal by $40,000 with 32 days remaining on the campaign. And have already unlocked a new baddie and a new ship as the first two stretch goals. And the 3rd one looks way cool too! The bad news is, all of the early bird pledge levels have been devoured! So it will take a pledge of $75 to snag a copy of the game, but as the stretch goals pile up, the box you get will be stuffed with more and more cool little miniatures! You can check the campaign out for yourself, right here. If you haven't done so, your window of opportunity is closing to get in on the Pixel Lincoln: Bicycle Playing Card campaign! There are two inexpensive options for jumping on board, a $10 pledge will get you a 21-card expansion for Pixel Lincoln the deck building game. Or a $12 pledge will get you a deck of PL playing cards! There's just 5 days left, so best hurry on over! And finally we want to extend a congratulations to Days of Wonder who CRUSHED their campaign to bring Small World 2 to the tablet realm (including PCs through Steam, android and iPad). They blew past their $150,000 goal, pulling in almost $400,000! This unlocked ALL of their stretch goals! Congrats to DoW, and the over 7,000 folks who backed the campaign! Have you backed any of these projects? We'd love to hear what pushed you off the fence, and what you're excited about! Thanks for reading TOG! Please tell your friends about us, and don't forget to check us out over on Facebook and Twitter, and don't forget to sign up on the right to receive TOG via email!